Severe storms have lashed south-east Queensland, causing flash flooding and bringing down power lines and trees. The Bureau of Meteorology (BOM) issued a warning for damaging winds, large hail and heavy rain on Sunday afternoon. 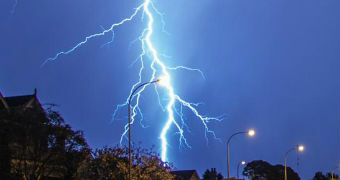 Wind gusts of up to 106 kilometres per hour were recorded at Toowoomba, and gusts of 96 kilometres per hour at Gatton. 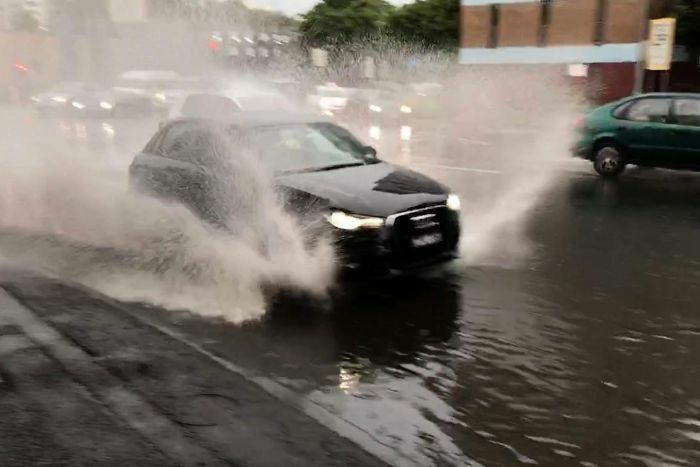 The storms dumped more than 20 millimetres of rain on the Darling Downs area in 20 minutes, while Bundamba in Ipswich received 56mm of rain in 30 minutes. 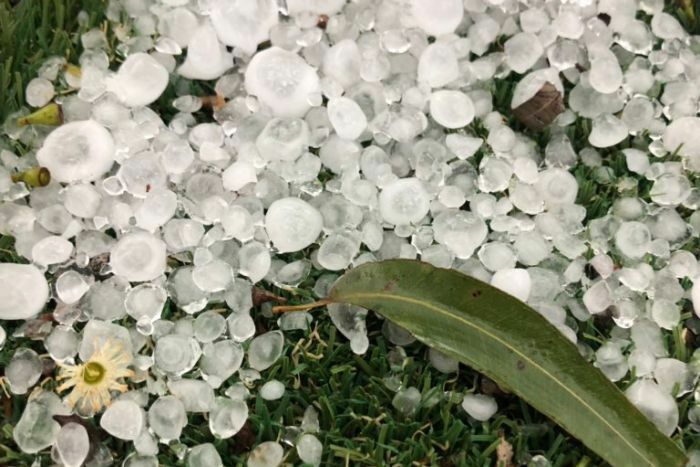 Three-centimetre-sized hail was also reported north-east of Boonah, and Aspley on Brisbane's northside was reportedly hit with hail the size of golf balls. Strong winds also brought down power lines in several Toowoomba suburbs, leading to power outages in more than 5,000 homes. Ergon Energy spokesman Ty Marega said it had received reports of more than 50 downed power lines in the area. "Under no circumstances should you try and approach those lines, they could be live," he said. ABC Emergency has put together a checklist for you to ensure that you are prepared for storms and their aftermath. He said crews would begin repairs once conditions eased. "As soon as it's safe to do so, crews will be out there restoring and repairing those power lines," he said. "This was quite a short, sharp, nasty [storm]." 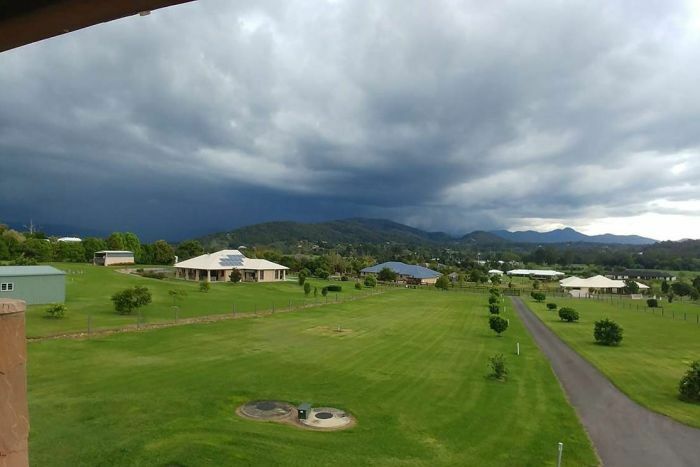 Aspley Acres Caravan Park manager Bev Gall said some residents were trapped outside for around 15 minutes during the storm. 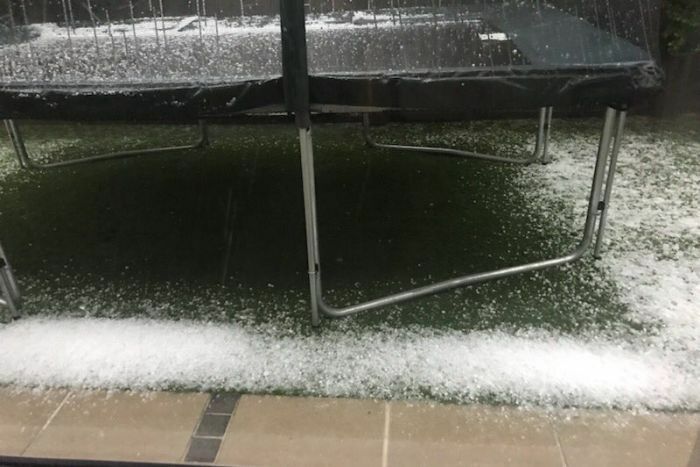 "The whole storm was vicious — we had people here trapped under the awnings that couldn't move around because it was really pelting down with the rain and the hail," Ms Gall said. Ms Gall said hail the size of 10 cent coins battered the area, damaging a number of caravans owned by the business. "We've had a few phone calls to say that they've had water coming through their [caravans], which is not uncommon for caravans, but it's still not very pleasant for them — we're trying to help them out the best we can." A general severe thunderstorm warning is current for the Wide Bay and Burnett and parts of the Central Highlands and Coalfields, Capricornia, Darling Downs and Granite Belt and Southeast Coast districts.